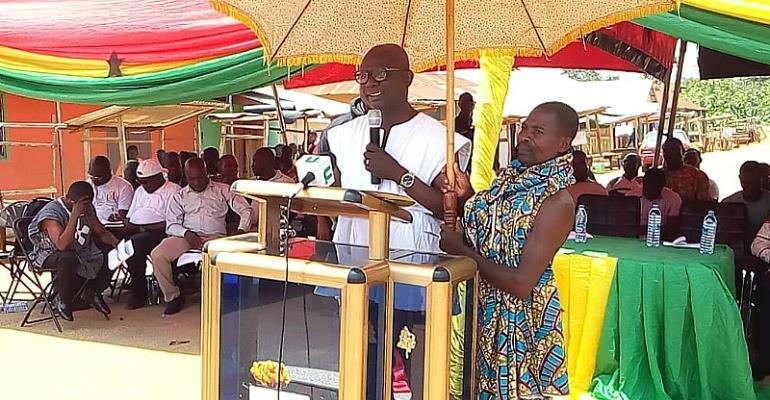 The Asutifi South District Assembly, one of the six (6) districts in the newly created Ahafo Region, has successfully organised a Town Hall Meeting of citizens and the local government, the third successive such event, since the investiture of the New Patriotic Party government of President Akufo-Addo. 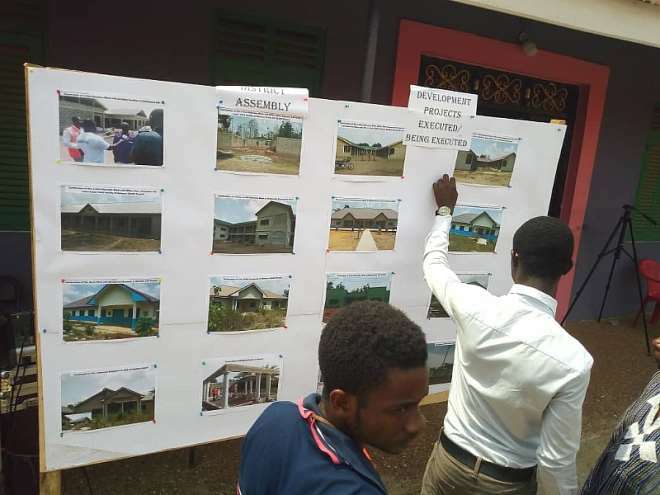 At the well-organised event of Wednesday 27th March 2019, held in Dadiesoaba, there was an exhibition of diverse projects and programmes embarked upon by the district assembly, with an extensive question and answer session. 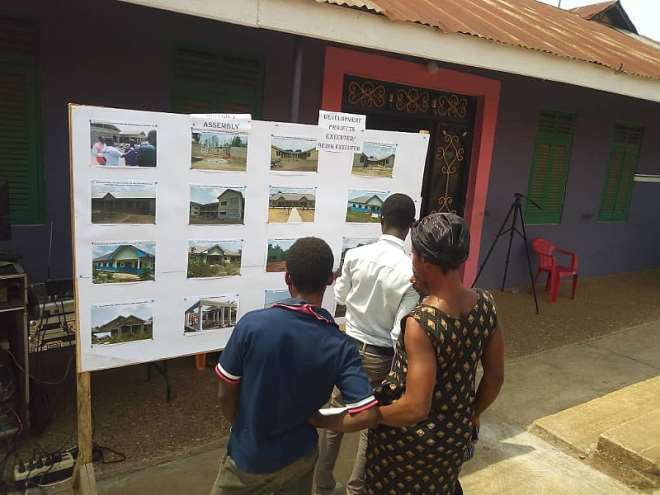 The programme was attended by both paramount and divisional chiefs from the towns of Dadiesoaba, Acherensua, Mehame, Kwaku Nyumah, Hwidiem, Manhyia, and Nkaseim, to mention a few. 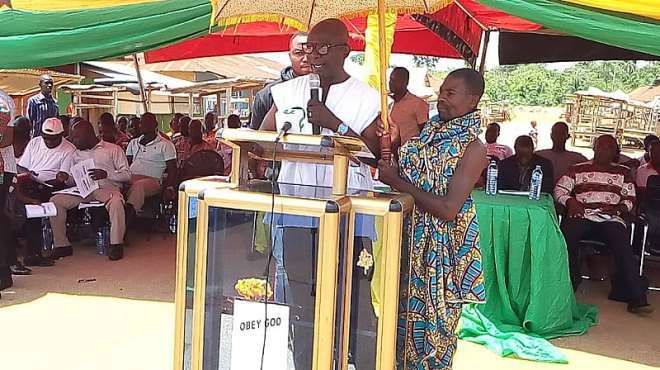 Also in attendance were the Divisional Crime Officer, the District Director of Education, Mr Abrokwa, the Brong-Ahafo Regional Information Officer, the heads of departments and coordinators at the Assembly, as well as Assembly members and a cross-section of residents. The District Chief Executive, Hon. 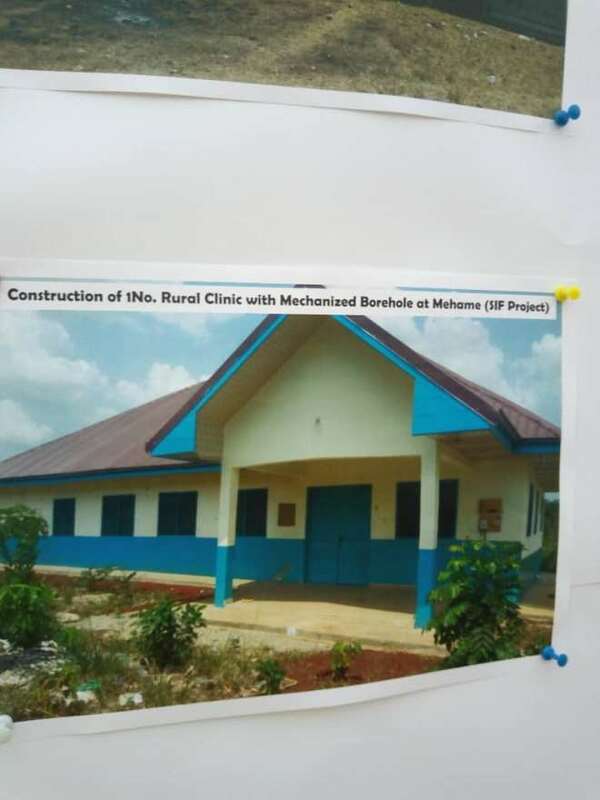 Dwomoh Mensah Robert, in his address, gave a detailed account of projects he inherited from the erstwhile NDC administration and what contribution he has made to ensure their completion. He also expended time to render an account of his stewardship in terms of infrastructural projects and human-centred programmes that have been rolled out to better the lives of the people. Among the major projects mentioned in his address were the construction of two rural clinics, dormitory and lecture hall for Dadiesoaba Nursing Training College, two Girls Model Schools, five 3-unit classroom blocks across 4 towns, an irrigation project for Hwidiem, mechanized boreholes for schools and isolated communities, street lighting for Acherensua township, staff bungalows in Hwidiem and Mehame, the evacuation of 6 decades-old refuse dumps and the construction of 5 improved institutional toilets in the 3 densely populated townships of the district. 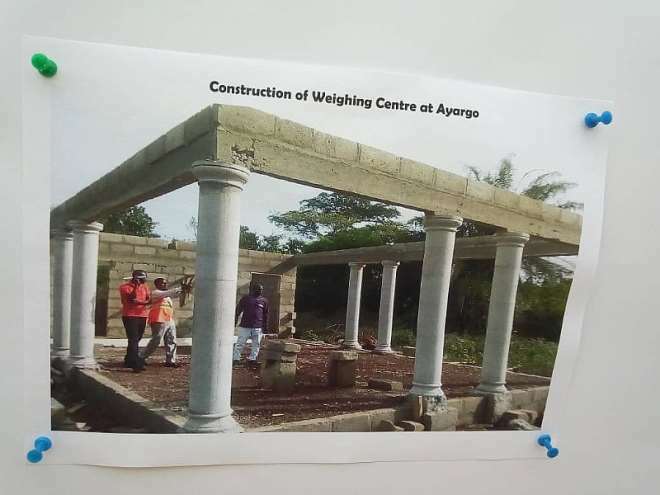 Other projects touched on by the DCE included a 1,000-acre farm project in Acherensua, as well as support in the form of bags of cement for self-help projects spread across the Asutifi South district. In his address, Hon. 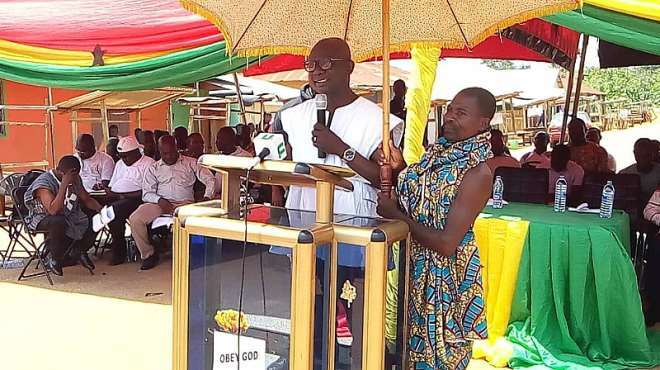 Dwomoh Mensah challenged the chiefs and people to support the Assembly in whatever way possible, especially in the prompt paying of property rates and such other levies. This, according to the chief government representative, will go a long way to help the Assembly initiate and complete developmental projects on time. Hon. 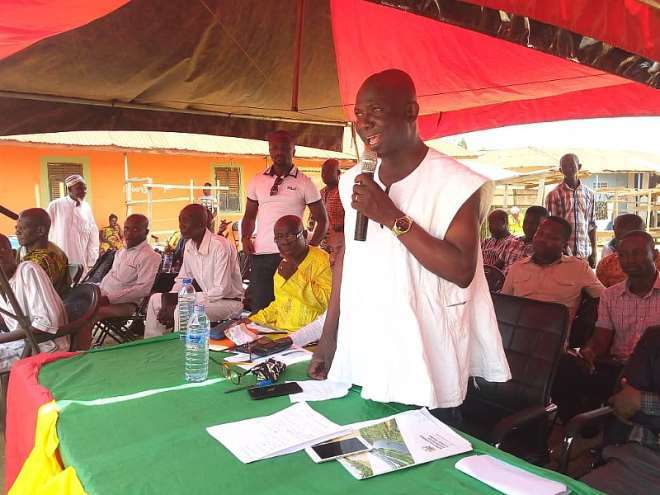 Dwomoh Mensah also admonished the people against dangerous riding of motorcycles, as well as rising incidences of petty crimes in the district. On this score, he instructed the Police to take up the challenge, arrest and prosecute such miscreants as an act of renewed commitment to their mandate as law enforcement officers. He also took the opportunity to outline projects captured in the Assembly's books for execution for the rest of the 2019 year. During the open forum, citizens commended the DCE for having continued with projects of the former administration, and for doing so much within the spate of 1 year and 10 months since he was affirmed the DCE of the area. While asking the Assembly to focus more on the far-off villages in terms of allocation of developmental projects, most enquiries centred on matters of education and infrastructural projects. 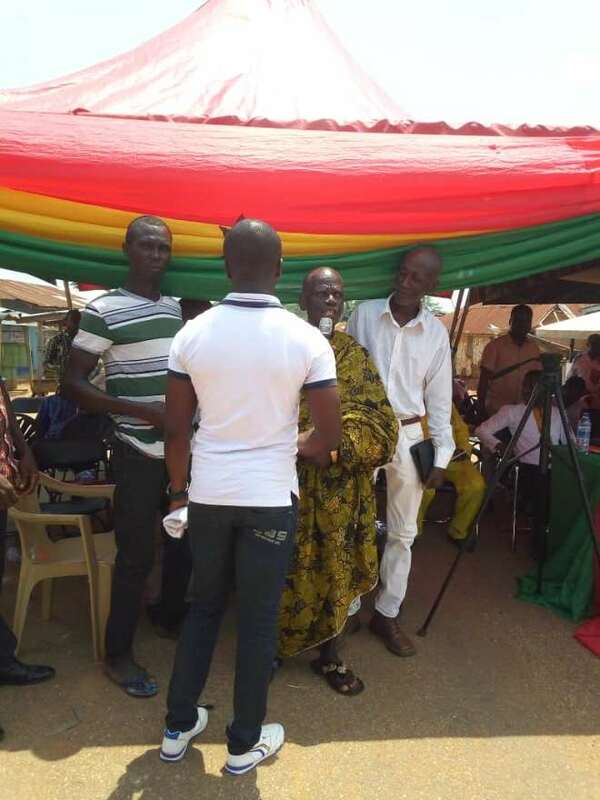 The Omanhene of Dadiesoaba traditional area, Nana Atta Mensah II, the chairman for the event, commended government for the re-institution of town hall meetings. He urged the DCE and the Assembly to keep up with the impressive rollout of projects across the expanse of the district. The event ended with a photo exhibition of both central government and district assembly funded projects, at the forecourt of the Dadiesoaba palace.